As a kid I had a plastic kaleidoscope. In fact I had several over my very earlier years. Like a miniature Captain Pugwash I would thrust one end to my eye and lethargically twist the other end to unleash an array of psychedelic shapes and patterns straight into the as yet unfettered innocence of imagination. I loved them because I could get lost in them. They added impetus to my general ADHD day dreams. They added beauty. This release gives me the same wondrous feeling for it is good shoegaze and good shoegaze can provide a beauty that enables your mind to drift off and explore the cracks and crevices of its soul, just like a kid gazing into a myriad of rock pools and thinking they have seen something that eventually was not there. Initially the 1st half of the album piles on this aesthetic. Reminding of the sweeter moments of the James Hanna / Asobi Seksu arsenal of the mid 2000's, the general sound is a wall of guitars upon which is layered gradually increasing levels of intensity and the sort of musical bells and whistles that might persuade people to use a post-rock tag if it was not for the fact that somehow the wall never veers from the overtly melodic. All of the three opening tracks have the same sense of the beautifully disarranged as if someone had re-engineered the general shoegaze aesthetic by taking the sound apart and then putting it back together in a vastly different, ultimately better order. The best of these tracks is undoubtedly Vision (see below), with its strange ever increasing intensity that somehow emerges even without any obvious tempo change. Like the kaleidoscope this tracks just takes me places with its trance like tendencies. It provides the most beautiful company when fostering a day dream. Similarly Spiral, has the same hypnotic reverie, with its droning thrummed guitar work depicting the best of Hush era Kula Shaker (have they been forgiven for being too posh yet by the British public yet?). If it was not so perfectly invasive on the senses it may well be perfect meditative music. However, it is in the second half of the album that the excellence transcends to more exalted climes and increasingly satisfies my life long need for high end melody. Here the tracks attempt to increasingly negate the shoegaze vibe. 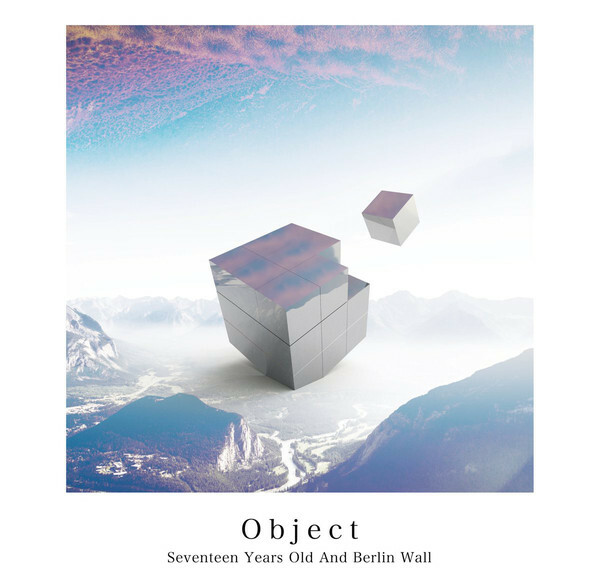 It is most definitely still there but the guitar riffs are simply too accentuated, too beautiful and too jangled and dominate the shoegaze maelstrom with the sort of beauty that bands such as The Luxembourg Field or The BV's provide in abundance. The best of the three tracks and indeed the true stand out of the album, is the jangled beauty that is Scene (see below). I have been critical of the increasing movement towards what the kids call janglegaze these days, in previous reviews. However when a band gets things right within this sub genre to jangle-pop / shoegaze the effects are truly wonderous. This track gets its 'very right' as the previous mentioned musical kaleidoscope has the clarity of Real Estate style jangle-pop interlacing the 'gaze' foundation to provide a musical soundscape that totally enthralls. 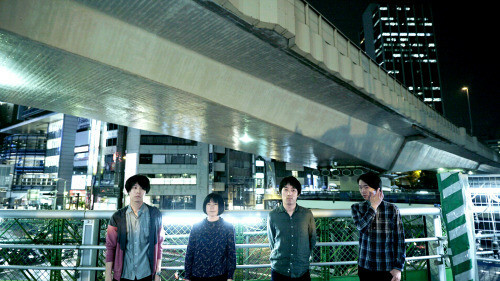 I know very little about this band other than they are a young four piece from Tokyo. However that is really not a problem as their music gives me time, space and impetus to create their characters !